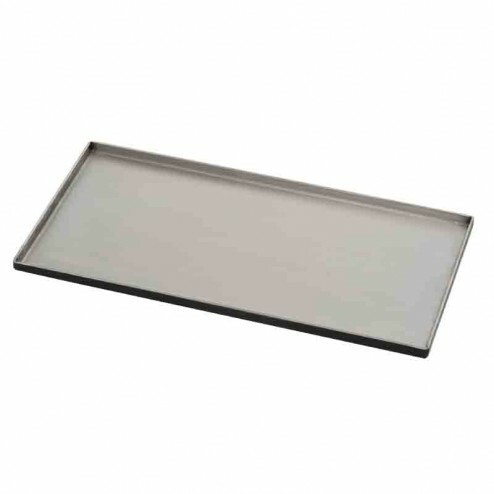 The TEC Stainless Steel Griddle by TEC Grills ships factory direct to your door. Stainless Steel Griddle for use with the Sterling II, III, IV FR, Sterling FR G2000, G3000, G4000 Series Grills TEC griddles are constructed of heavy duty 12 gauge 304 stainless steel ensuring fast and even heat distribution. Designed to be used on top of the cooking grates of the grill, they are perfect for outdoor breakfast cooking, grilling sandwiches, sauteing vegetables and baking pizzas. 8 3/4 in L x 3/4 in H x 17 3/8 in D, 7 lbs.